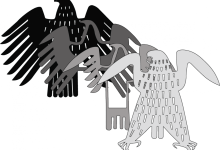 The federal eagle for the new Germany parliament in Berlin shall appear to be the same as the one from the former parliament in Bonn, except it shall be 50% larger. Also, for the first time, the new eagle will be displayed so that it can be seen on both sides, thus requiring a finished back. The new back portion was designed in cooperation between Trendelkamp and the famous architect, Lord Norman Foster. The federal eagle consists of four layers of 12 mm thick aluminum. In lieu of attaching to a wall, he is suspended in space. Lord Foster requests that the attachment cables supporting the eagle be hidden and render him static, to prevent swinging. Trendelkamp met the request by developing a piano string suspension that was barely visible with an integrated vibration dampening. The high strength steel wires have a diameter of only 8 mm. 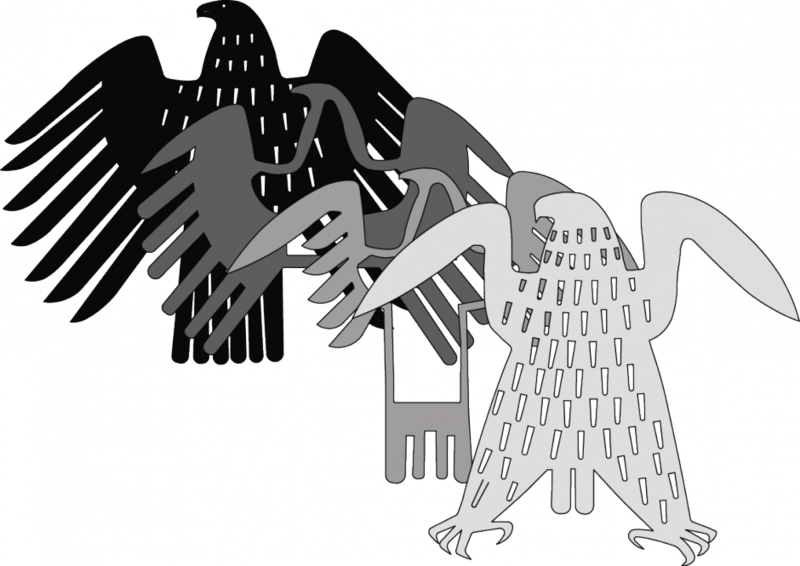 Eagle with slot and key. In order to transport the eagle from its nest to Berlin, he consists of 3 segments. Most importantly, the joints of each segment should be as invisible as possible. Trendelkamp solved the problem by engineering a slot and key connection that precisely positions each segment during reassembly. The surface is treated with a special sand blast and coating technology, which was also used on the former eagle in Bonn. The surface is highly sensitive, even a fingerprint would be readily visible, so a special vehicle is necessary for the transportation to Berlin. In order to transport the eagle from its nest to Berlin, it required the structure be segmented into three sections. Most importantly, the joints of each segment must be completely invisible once the structure is reassembled. Trendelkamp solved the challenge by engineering a slot and key connection that precisely positions each segment during reassembly. The surface of the eagle is treated with a special sand blast and coating technology, not unlike the former eagle in Bonn. The surface is highly sensitive, even a fingerprint would be highly visible, so a special vehicle is necessary for the transportation to Berlin. Upon final completion, Lord Norman Foster and Josef Trendelkamp signed the resulting work.